If you look at Amazon at face value, it may be hard to make the decision to invest. After all, we’re talking about a company with a PE ratio of over 300. However, I’m here to tell you that AMZN is a great move. Today we’ll talk about why. 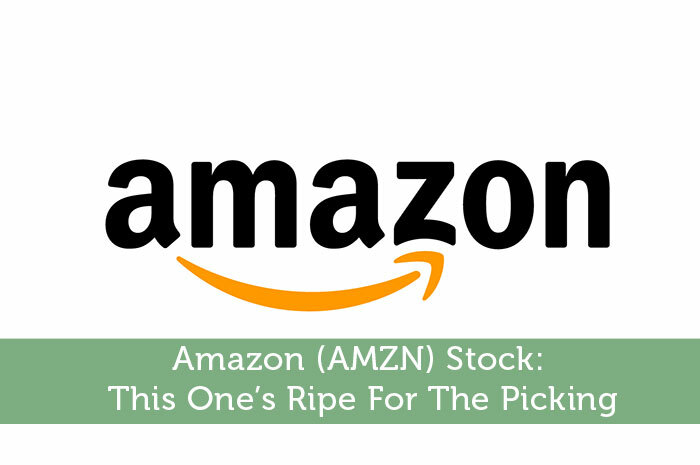 When I started looking into AMZN about a year ago, Prime was one of my biggest gripes with the stock. I just couldn’t understand how the product could be profitable. For those of you who don’t know about Prime, the cost of the service is $99 per year. That works out to $8.25 per month. For that cost, consumers get free 2 day shipping on quite a few products, free streaming videos and far more. Considering the average cost of shipping, it seems that at this price, AMZN would be losing money if consumers purchased only 2 products per month. However, looking into what Prime actually does for Amazon, it’s clear to see that it’s starting to become profitable. Ultimately, it boils down to the amount of money Amazon Prime members spend on the retail website. Recent reports show that 74% of consumers that have signed up for Amazon Prime spend more on the website now that they are members. Not to mention that nearly 50% of Prime members spend more than $800 per year at the online retailer’s site. Moreover, 68% of members that have been members for at least 4 years spend more than $800 per year on Amazon. When you look at the amount of members signed up for the service, it’s easy to see that this is a significant source of revenue for AMZN. When you first think of Amazon, chances are that the first thing you’re thinking about is online retail. However, the company has a hidden weapon that’s building in importance rather quickly. That secret weapon is called Amazon Web Services, also known as AWS. AWS is a cloud computing service that gives companies and consumers incredible infrastructure in the cloud. Not to mention, it’s already incredibly popular. According to CNN Money, Amazon Web Services is currently on pace to bring in more than $7 billion this year alone. That growth is continuing as well. In fact, most recent estimates show that AWS is likely to bring in $16.2 billion in revenue in the year 2017. That’s huge! In fact, at $16.2 billion per year, Amazon Web Services alone would be worth about $160 billion! Late last year, I lost hope in Amazon’s stock. I got tired of seeing losses on earnings report after earnings report. However, I’m starting to realize the plan for the company. More importantly, I’m starting to see that they got the plan right! The reality is that Jeff Bezos isn’t too concerned about profits at the moment. Instead, this genius CEO is focused on using low prices to build his brand, he’s focused on using money that comes in to expand services and infrastructure. While this plan isn’t bringing in massive profits at the moment, it’s likely to bring in the big bucks down the road. All in all, I used to have a relatively bearish opinion with regard to what we could expect from this stock. However, with time, my opinion has made a complete 180. Ultimately, even at a valuation over 300 times earnings, AMZN is a great pick for those looking for long run growth. What Do You Think About Amazon Stock? Where do you think Amazon stock is headed and why? Let us know in the comments below! I was lucky enough to buy Amazon stock back at $290 in January. I don’t usually “catch a falling knife” but I figured that it would be one of my long-term buys. Little did I know that it would reach above $600 so quickly, so I sold. The price just seems to have had too much growth, too fast. Yes, Amazon has a bright future, but the growth will be incremental and will be subject to the law of diminishing returns. After all, it’s much harder for a multi-billion company to grow 20% than it is for a newer, multi-million dollar company. I guess if one were to buy Amazon and hold it for fifty years it wouldn’t make too much of a difference. I agree with you that Amazon is a great pick for the long run, but this current price has me a little concerned. You’re right – over 300 times earnings. Gulp! I know there’s opportunity for more growth but look at the share price growth in the last 10 months or so. Imagine if this article had been published a year ago before it’d already gone up 80% or so. So a year ago when the stock price was much lower, you couldn’t see the future potential for AMZN. Now that traction has been achieved and the business model is working the way Jeff Bezos intended, and the future is bright, and the stock market has already built all of this into the stock price, you recommend it as a buy. I really wish your blog could have had some meaningful economic analysis about the future of AMZN, instead of merely stating the obvious. You have inspired me to start a stock picking blog and to monetize it Mr. Rodriguez. Every day I will post a blog about a stock that has done really well in the past year, and recommend it as a long term hold.